THE SECRETS TO SURVIVING THE FESTIVE SEASON WITH YOUR HEALTH INTACT! OVER THE CHRISTMAS AND NEW YEAR PERIOD WE PUT ON AN AVERAGE OF 4 KG (or more) OF FAT PER PERSON. You don't have to be a partner in this statistic! This year, choose to adopt healthier lifestyle habits DURING the Festive Season! 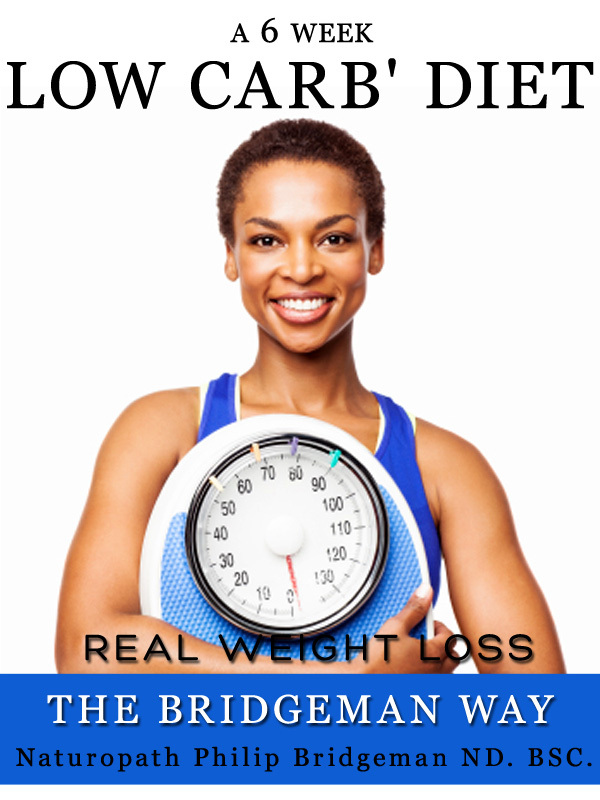 You may not lose much weight - but you don't need to gain any. And, when the New Year arrives, you will already be on the right track toward your best body ever in 2012! Going into the festive season it will help to mentally prepare and make decisions beforehand. 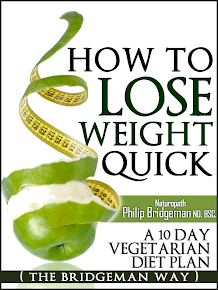 Why wait to new years day to make commitments – by then you are 3 or 4 kg heavier. Think and believe you can eat, enjoy and feel better by eating and drinking in moderation. Visualize yourself fit and feeling great. If it's to look better, imagine yourself confident and wearing the dress that you always wanted to fit into. As part of your motivation – remember what it feels like after overeating (and drinking) the feeling of a bloated tummy and being overfull and uncomfortable. Drinking lots of liquid with food waters down your digestion so you not only feel uncomfortable but this causes tummy issues as well. · Eat before you go to your Lunch or Dinner so you won't be so hungry that you grab anything and everything. This stops your blood sugar from dropping and you then can have control over your hunger. You can still enjoy the meal but you will be in control. I suggest something light e.g. Celery and carrots dipped in hummus or avocado dip. A protein shake or rice crackers with tomato and a small slice of low fat cheese can give you the willpower you need to choose the best choices of food on offer and not to overeat. Having a light, low carbohydrate breakfast and lunch on the same day can help ensure that your calorie intake won't be too much. Another option, eat a banana on the way to the meal! You will have choices – so choose the healthiest ones. If you happen to be the one to organize the venue, or are entertaining at home– choose the option that offers good healthy choices. I suggest trying soups (no cream), grilled or baked fish with vegetables or salad, and fruit salad for sweets (always avoiding the cream). Instead of a bowl of lollies, cakes, chips or chocolates for guests, why not have a bowl of strawberries (with coconut cream), cherries or grapes? For drinks; try a bottle of non– alcoholic grape juice. If you drink alcoholic wine choose an organic wine, as it has less chemicals and will be better for you. Rule of thumb – choose proteins like meat instead of sweets, breads, pasta. Best meats are fish, turkey, and chicken. Have these with salads and vegetables - Char grilled vegetables are delicious ~ a platter of mixed grilled vegetables look great and can be done on the BBQ. Alcohol and soft drinks will add weight to your body. Both are high GI and soft drinks have about 7 teaspoons of sugar per can. Don't keep picking at leftovers – take some home for the next day may help? Be the life of the party and socialize – talk – dance and keep away from the food and burn up some energy = fat. If you choose to drink – then at least have some understanding on what you are doing to your body. I suggest you put into place some really good counter measures, to help your body survive and to save some of those brain cells. The one true way to avoid a hangover is to avoid or limit the amount alcohol you consume. The ethanol contained in alcoholic has a dehydrating effect which causes headaches, dry mouth and tiredness. Internally this puts pressure on your kidneys and liver. This chemical reactions along with additives and preservatives in alcohol drinks do affect your body in short and long term. There are organic wines that are a healthier alternative and will lessen the hangover symptoms. One reaction is that the liver’s ability to supply glucose to tissues is interfered with, in particular to the brain. Glucose is responsible for the brain’s energy and this disruption often results in fatigue, headaches, feeling weak, mood changes and memory and concentration. Smokers and even some non-smokers tend to smoke more when they are drinking and this can lead to nicotine poisoning which will also worsen hangovers. The more you drink in a short time span, the worse your hangover will be. Binge drinking is particularly harmful to your health and likely to result in severe hangover. The Counter Measures for Preventing Hangovers! Preparation – before and during your drinking is the best time to help. If you do this then the hangover will be definitely less. A young naturopath colleague who admits to indulging in wine on occasions says “I guarantee the preparation will stop most hangovers”. Take a Liver herb 2-3 days before and before you go out and when you arrive home. You can buy liver herbal tonics containing St. Mary Thistle (Silymarin). Drink Lots of water. Rule of thumb when drinking alcohol and coffee is to consume one glass of water after every glass or cup you drink. If you add a ½ squeezed lemon to the water or green tea – this will help you maintain some alkalinity to your stomach and aid your detox. When your stomach is empty, alcohol is absorbed more quickly, which intensifies its effects. Eating a plentiful dinner that includes meat, vegetables and fruits, is very wise. An electrolyte drink will help before and after as your minerals will be depleted. 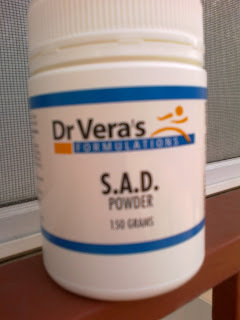 I prefer a powder form from health shops or naturopath to be the strongest dosages therefore the best. However the Gatorade type drinks are helpful. Avoid coffee before – during and after as this dehydrates you more. Caution - given the dehydration and associated increase in blood pressure after a "night out", a strenuous workout isn't generally the recommended "recovery" practice. However a lazy swim or walk is beneficial. As is sleeping in. After The Party Is Over. Let me tell you something very interesting about laughing and being happy. Laughter stimulate our immune system, boosts our serotonin (feel good hormone). and is very good for our health. I love it when modern Science proves the Bible is right. A well known researcher in this area of “the science of happiness” was Norman Cousins, who in 1964 was diagnosed with a life-threatening autoimmune disease. After being given a one in 500 chance of recovery, Cousins created his own laughter therapy program, which he claims was the key to his ultimate recovery. The evidence that stress, worry and anxiety is very harmful to your health is undisputed. There are many studies supporting the belief that people with an upbeat and positive perspective tend to be healthier and enjoy longer lives. Those people who have the tendency to always expect the worst was linked to a 25 percent higher risk of dying before the age of 65 (2). You would say these people have anxiety and stress issues. 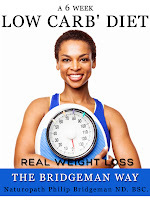 I also believe that factors such as diet and exercise can play a significant role. It’s hard to feel happy when you’re not feeling well physically. My Christmas tip is to have more Ho Ho HO and be Happy, don't worry or stress. Enjoy Christmas for what it is; the Birth of our Savior - the Lord Jesus Christ. Now that is something to be happy about. If you are worried about getting too thin this Christmas AVOID the salad tray: In fact, if you see any salad, go straight to the Christmas pudding. Philippine disaster close to home? Hello and I pray you are having a Blessed Day. So I am sending out a request for funds through my ministry. All funds raised will go 100% to this small village Bay Bay. Most of the world aid going in to the Philippines is going to the bigger cities and nothing is filtering through to smaller towns. These funds will be used for food and essentials and distributed to the local area by Kriste’s parents. Kriste and I will support her family, so all donations will go to the rest of the area. We can make a difference and save lives. Every $100 raised can buy a lot of food in the Philippines. If you are led to donate – you can send any money to my PayPal account or if you prefer to direct bank transfer to my personal bank account. Karen – the treasurer for my ministry will monitor all donations and will make sure all money (100 %) is sent to the Philippines as stated. You will receive receipts and an update of what the money has done in the lives of these people. Any questions please let me know. God is Restoring His Natural Health plan to His people. Teaching these principles is my mandate or ‘calling’ in life. I am answering that call by writing a series of books and going wherever I am invited to run seminars. So if your church or community group is interested contact me. Also locally in Perth I am running fortnightly open meetings to anyone interested in hearing this message. Anyone interested in being healed and set free of sickness and disease. Plus living a longer healthier life and working with Jesus for your health. The meetings are held outside church buildings so that everyone and anyone can feel free to come. Last night was the first Wisdom for Health and Healing group meeting. Already there is positive feedback from people who are receiving the teaching. 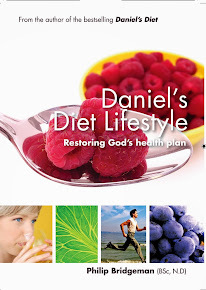 In February 2014 I am running a special teaching course – to instruct anyone interested in becoming a Daniels Diet Teacher in their church or community. You will need to come to Perth for the first teaching. If you are interested at all contact me for more information. HOW TO SURVIVE THIS CENTURY? If you or your family eat regularly (more than once a month) food such as ham, bacon hot dogs, salami and sausages? You are 44% more likely to die prematurely. I say this as an encouragement to change your eating habits. I suggest you eat more fish, turkey, beans or lentils. People who eat a lot of processed meat such as ham, bacon, sausages and burgers run a greater risk of premature death and developing conditions such as cancer and heart disease, research shows. 70 % of all illness relates back to what we either eat or don't eat. This is why my ministry vision statement is... " Restoring God's Natural Health Plan". Sickness is rarely blamed on diet and lifestyle, but it should! We have to learn how to survive into this century. We need to work with Jesus for your health and Healing, not against Him. That is my calling and ministry - to teach how to do that. This plan includes universal principles that if you don’t follow them there is a consequence and lack of knowledge or ignoring them does not exempt you from that consequence. It’s important that we understand that God has placed Principles of Health to live by while we are on earth. They are Universal and apply to everyone. You see - If you eat fresh uncontaminated (healthy) food, drink clean water, do enough exercise and sleep soundly 6-8 hours daily, and have good stress management techniques, are happy and laugh a lot –you are obeying the Universal Principles of Health. You are following Gods Health and Dietary plan, which will result in you prospering in physical, emotional and spiritual health. God has created natural foods to be the only true source of our internal repair and energy supply. The specific properties found only in fruit, vegetables , nuts and seeds are so powerful that they fight - and often win - the war against cancer, ageing and most disease. 1) Protection – there are many varieties of antioxidants. 3) Phyto-nutrients, including phyto-hormones (phyto meaning in Greek ‘plant’). 4) Hundreds of different compounds and biologically active substances, many of which we are still discovering. 5) Fibre – protein – unrefined carbs. I am currently writing books and Seminars - so if you are interested contact me at any time. You may even want to get me to come to your church - i will. Currently if you want to learn more - my books are all designed to help you. Your Resources - Books in Print - to teach you Gods Health Plan and change your life. 6. Are You Tired, Lethargic and cant Lose Weight. Part 2 of 'Cancer has a Sweet Tooth"
Last BLOG i spoke of how 'Sugar is addictive with many people and - Cancer cells are addicted to sugar! 'Now i want to encourage you to understand what foods,lifestyle and environmental toxins we can avoid to help us live a longer and healthier life. Many people do not realize the connection between obesity and other diseases such as heart disease or cancer. Its true that obese women are 60 % more likely to develop some form of cancer than non obese women. One of the links between obesity and breast cancer in particular is estrogen. Many breast cancers are driven by excess estrogen, and many don't realize that this hormone is produced in your fat tissue. Therefore , the more body fat you have, the more estrogen you’re likely to produce, which could contribute to the formation of breast cancer. Obese men also produce estrogen from there excess fat. The driving force behind being overweight, of course, is your diet, and fast food, high in trans fats and sugar, is a major contributor to obesity. a common salt additive placed in Chinese food,may cause stomach cancer, according to a study by researchers at the Netaji Subhas Chandra Bose Cancer Research Institute. 3. Avoid Processed Foods as much as you can. Coffee; roasted coffee beans and ground coffee powder. this does include alternate coffee products. It seems you are far less likely to ingest dangerous levels of acrylamide when you eat home-cooked foods compared to industrially or restaurant-prepared foods. My best advice is to avoid overcooking your food. This includes oils as when oil reaches a certain temperature they create free radicals which damages our cells. The Seminar will contain the following Segments plus much more. 1. Why do Christians get sick. Daniel had just proven how amazingly powerful a 10-day cleansing diet really was. And today, 2500 years later, it is just as powerful. PLUS; 2 Free consultations with Philip - for lucky ticket holders value $99.00 each. If you cannot make it and for all over seas readers– there will be video and CD available for purchase. Hello and I trust you are having a Blessed Day. Cancer is a very complex disease - however we can do lots of things to help prevent and even help treat it. Be encouraged that God has put into place counter balances to all the negative things we hear about everyday in the media, including cancer. Today i want to reveal to you one of the main drivers of cancer. General speaking i see that a lack of understanding about the causes and what drives cancer contributes to a huge fear of this disease. My aim is to demystify some aspects of cancer, so by understanding it more you will be empowered and know that there is something we can do about it, to get proactive and not just wait and hope we are going to be OK. You see cancer is not a virus or disease that manifests overnight or in the short term. It generally takes a long time (years) to manifest and needs the correct environment to survive and grow. This means if we start now we can put some things into place that will help us prevent and fight it. Cancer is something that touches us all in some way ( i am attending a family members funeral this week, they died of cancer). In fact one in two Australians will be diagnosed with cancer by the time they are 85 and Cancer is expected to increase by 45% over the next 20 years. This means we need to arm ourselves with the tools or information to be able to Resist it, and change these negative stats. Cancer as i see it, is a disease of modern civilization (since the industrial revolution it has been a common disease, interestingly there was very little before then). This tells me loud and clear that we need to take some 'modern' out of our lives. My book Daniels Diet ( soon called - Pure and Real the Time Tested diet) teaches on how to do this in detail. If you have read my books you would know that I think eating sugar is worse than smoking cigarette’s to your health. Why? Because you don’t have to be aged 18 to be able to buy them. There are no restrictions on sugar and refined carbohydrate intake. We give sugar to our children and babies and a majority of people simply don't realize or care to stop this self abuse. Sugar is addictive with many people - Cancer cells are addicted to sugar! There is more and more evidence now that shows SUGAR feeds cancer. Therefore stopping sugar and cutting right back on refined carbohydrate intake (which amounts to the same as eating sugar); should be a core part of any cancer management or preventative treatment along with other diet and lifestyle issues. It works something like this - When cancer cells form in our body they needs a good blood supply and its own type of food to survive and grow. This is a huge key - cancer cells like certain foods and hate other types of foods. Sugar is one of its favorite food choices. So it stands to reason that if we cut off the actual foods that help grow cancer it will starve, shrivel up and die. This should be one of the main aims and factors with cancer treatments and prevention. The next part of the plan is to eat foods that cancer hates and can’t utilize to grow. If fact there are many foods that God has created for us that fight against cancer at any stage. There are counterbalances designed in nature that we need to know about and do it to win this fight. To summarize – IF you eat the GOOD foods and IF you stop eating the BAD foods that cancer or disease needs to thrive on, you can expect good things to take place; as both treatment and prevention. Combine a healthy lifestyle with Prayer and positive faith and you have a huge weapon to fight against cancer and any disease process. The sooner we put good lifestyle practices into place the better for us. The reason my book Daniels Diet ( Pure and Real - the Time Tested Diet) is so successful is it takes some of the modern out of our eating and adds the right type of foods for healing to take place.It gives you the information you need to know to put into place these healthy lifestyle choices i am talking about here. I was blessed with all the lovely and encouraging responses from the last newsletter and Blog. I found it very touching to get your personal emails and words of encouragement. As I am in the ministry of giving out all the time it was very encouraging for me to get so much support. Thanks. I have finalized the new name for Daniels Diet. It was voted in by a large majority vote, so I did not have to have the pressure of making a split decision. There were some who, like me, did not want to change from Daniels Diet or the theme of that name; however I must trust God that He is leading me to something new (and prayerfully something better - ‘more than I can even hope for’) with the changes. This is in reality a Re- launching of Daniels diet, ‘woops’- Pure and Real globally. Thanks to the 6 winners from the last newsletter - for helping pick the new name for Daniels Diet. The BIG news from my clinic this week is the launch of my new EBook: Are You Tired, Lethargic & Can’t Lose Weight? How you can Speed up your Metabolism & Regain your Energy. If you want a copy- it’s available on www.amazon.com for just $3.99. I would appreciate any one who purchases it to give a readers review – thanks. If you need help getting onto Amazon or kindle let me know (its free and easy once you have done it a couple of times) I can help you. 1. A 6 Week Low Carb Diet? A Real Weight Loss Diet. 2. 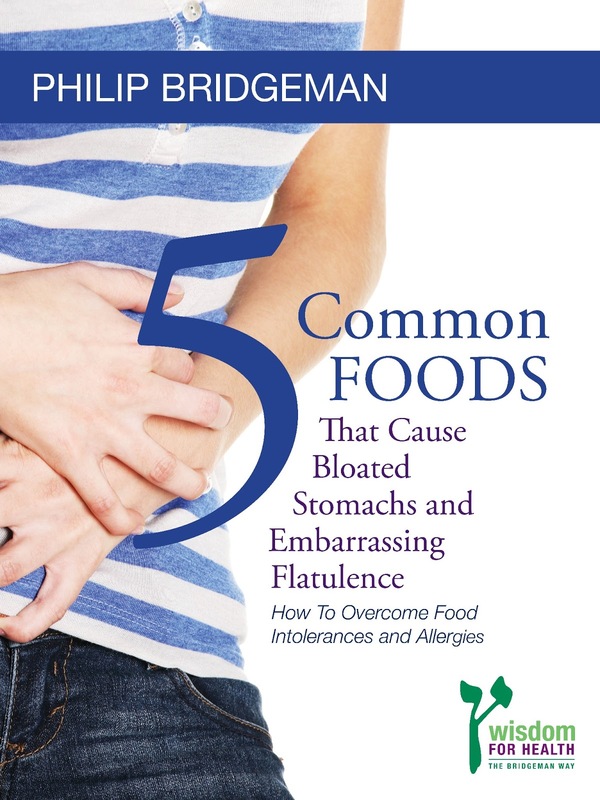 5 Common Foods that Cause Bloated Stomachs and Embarrassing Flatulence. 3. 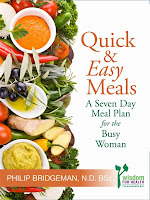 Quick & Easy Meals: A 7 Day Meal Plan for the Busy Women. 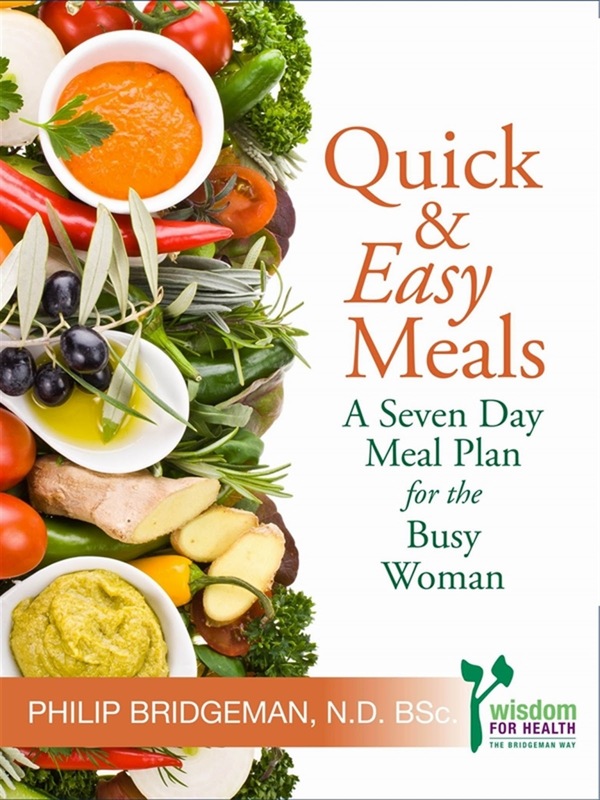 The new recipe book is nearly ready to launch – I had to change one recipe at the last moment – so need one to take its place and then it is available – both as paperback book and EBook. The question often asked of me - is 'Should I have the Flu Shot'. My answer in short is this; 'I Don't'! However if you are in a work place where you have no choice in the matter then do it prepared. If you have a choice then at least be informed and make your decision based on trusted information, not propaganda. Information you would be wise to consider. While many have become used to vaccines being considered "routine," there's really nothing routine about them. Each and every vaccine carries an inherent risk of causing a reaction, injury or death that can be greater for some individuals than others. The seasonal flu vaccine is no exception when it comes to health risks. I know that most people that have them don't get side effects BUT there are many who do. I suggest if you are pregnant or have children and want to get a flu shot, be aware that you may have to specifically insist on getting the thimerosal-free single vial version as many practitioners are still clueless about the health risks associated with thimerosal. Vaccines Suppress Your Immune System - so if you or your child go ahead and have the flu or any other vaccination - prepare yourself . Do NOT have an injection if you are feeling sick. Wait to you recover. How to Prepare for Vaccinations: this is wise for any one who does choose to get the vaccine shot. Build up your natural immune function first so your body at lest has a counter balance to the invasion of the vaccine contents. The Natural Approach to Prevention and Support if you happen to catch the Flu. Get your immune system strong enough to counter any virus attacks. Then if you do get sick with the flu, you are better prepared to move through it without complications and soon return to good health. Herbs; Echinacea, Andrographis, Olive leaf extract. Make sure you and your child have strong Vitamin D levels. Optimizing your vitamin D levels is one of the absolute best strategies for avoiding infections of ALL kinds, and vitamin D deficiency is likely one of the culprits behind the seasonality of the flu. If your levels are low take 5000 iu's daily. Plus get sun light onto your skin. Avoid Sugar and Processed Foods. Sugar impairs the function of your immune system almost immediately. Wash Your Hands. Washing your hands will decrease your likelihood of spreading a virus to your nose, mouth or other people. Use chemical-free soap. If you wish to get more information so that you can choose more wisely here are web site addresses. Hello - so great to see rain here in Perth. However i know that many people feel 'Down', Moody, Flat or Anxious in the winter months. For those people who feel this way - it is a very real symptom - called SAD - Seasonal Anxiety Disorder or Seasonal Affective Disorder. It is a mood disorder in which people who have normal mental health throughout most of the year experience depressive symptoms in the winter or summer. i believe seasonal eating disorder are worse in winter because of this link with mood changes. With knowledge - YOU CAN DO SOMETHING ABOUT IT - DON'T JUST ACCEPT IT. Many people are just putting up with this problem and you don't have to as its related to deficiencies and can be helped. The carbohydrate craving common in people with this disorder is thought to be caused by decreased levels of the brain neurotransmitter serotonin. Since tryptophan is a precursor of serotonin, taking in more of this amino acid may increase the body's production of serotonin and help you feel better. * Physical exercise has shown to be an effective form of depression therapy, so don't stop just because its cold. Every one should get checked for Vitamin D levels in their blood! I was shocked to find i was vitamin D deficient a few years ago; as i like many others thought that living in Australia with many months of sun i would be creating plenty of it via my skin. However - Since then through my clinic i see a very large percentage of people who are low in this extremely important vitamin. * Another explanation for SAD is that vitamin D levels are too low when people do not get enough Ultraviolet-B on their skin. So increase your exposure to light. Get as much natural light as possible between 6:00 a.m. and 8:00 a.m. Get outside and go for a walk, or at least sit by a window. *Avoid alcohol or caffeine. Caffeine may give you a brief lift, but it can also cause anxiety. Alcohol, on the other hand, is a depressant, which can further exacerbate your low mood. Any herbal tea is a better choice than teas with caffeine. Chamomile, peppermint, and cinnamon are nice. This information is solely for informational purposes. IT IS NOT INTENDED TO PROVIDE MEDICAL ADVICE.Whatever you do, be sure to seek guidance from a professional if the feelings of depression become overwhelming.